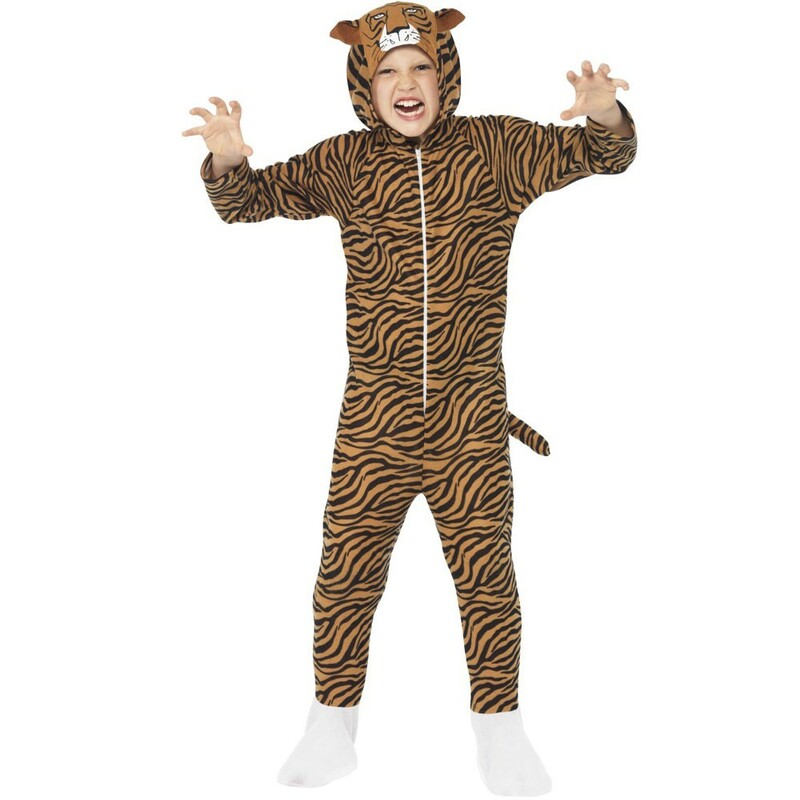 A Kids Tiger Onesie Costume including All-in-One Jumpsuit with attached Hood and Tail – Ideal for any Animal themed fancy dress occasion! Rawwwwr! 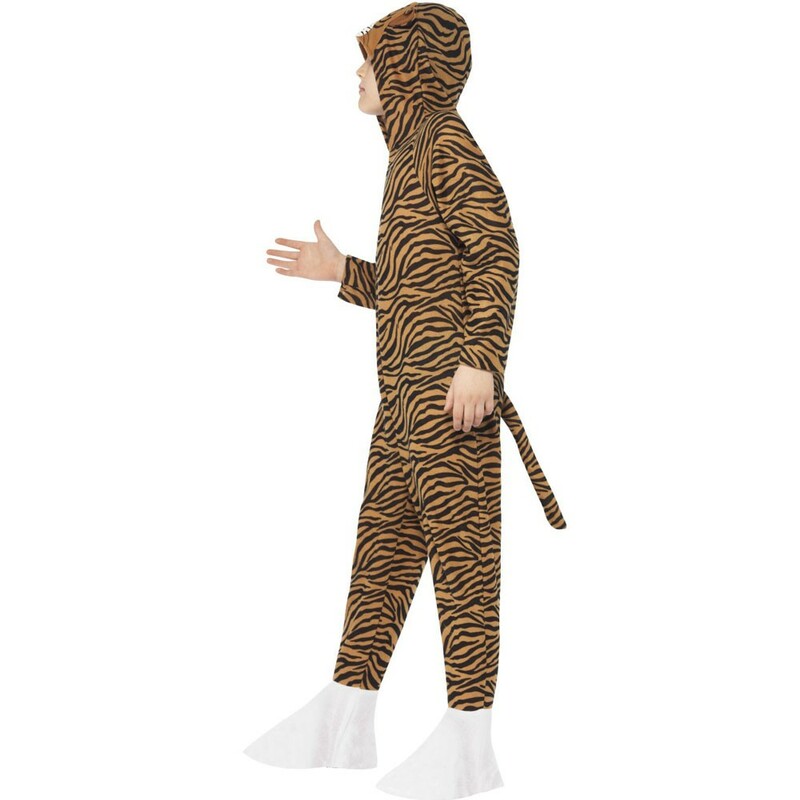 You’ll be the best looking Tiger at the party with this amazing KidsTiger Onesie Costume. This costume comes complete with All-in-One Jumpsuit with attached Hood and Tail. 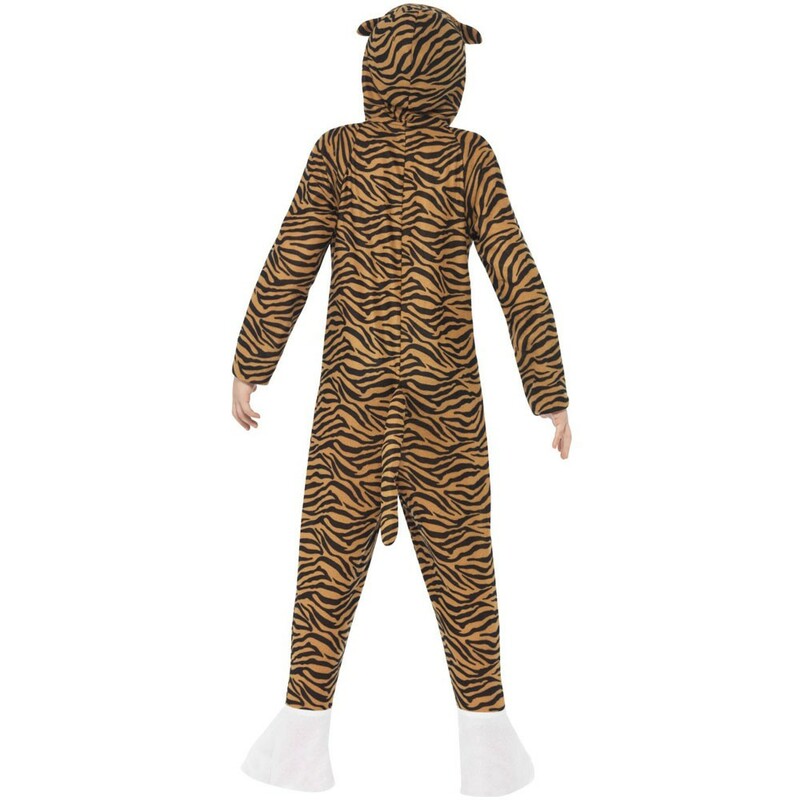 This KidsTiger Onesie Costume All-in-One Jumpsuit features a full length zip at the front for comfort, whilst it also features an attached Hood with tiger face design, and an attached tail. This Jumpsuit features an orange and black stripe pattern for the fiercest tiger look! This fantastic KidsTiger Onesie Costume is perfect for both boys and girls and is ideal for any Animal theme, World Book Day, or any other fancy dress occasion!